The purpose of this discussion is to demonstrate scientifically that man is an immortal being. By this statement I mean that the known and proven scientific evidence shows that the physical body of each man is immortal. You and I and all the rest of us are at the least many thousands of years old. We have lived continuously all this time without death. This statement is limited to the physical body of man. I will be using physical science to demonstrate a physical fact. The discussion does not at all touch on the consciousness of man, or the spirit or soul of man, or the awareness we all have of the world around us. You will find no theology here, and we are not going to look at the “afterlife” or “many lifetimes” as part of the proof of our own immortality. The discussion is about the actual immortality of the human body, and we will use only scientific evidence to support the conclusion. There is no doubt that this scientific evidence is true and accurate, and therefore no question that the physical body of man is immortal. This information may change forever what you believe about the ultimate lifespan of human beings, and you will be left with a sense of wonder that will be good for you. We must begin with some rather tedious scientific background which is necessary to lead up to the conclusions drawn. Be certain that the narrative will get much more interesting as we go along. It will get even more interesting as we demonstrate the incredibly monumental robustness of DNA and its other components as life unending is passed on from one creature to another, one human to another. The primary component of immortality is “memory,” a memory so far beyond that which we individual men and women appear to possess in our daily lives as to be almost inconceivable. When we use the term “immortal” here, you may at first think of something that has no beginning and no end, and has always and forever been there and always and forever will be there, having no limits or boundaries in time, space, extent, or magnitude. This is only one definition of immortality, the definition given by religious commentators including Greek mythologists and reincarnationists; and by Marvel Comics speaking about its super-heroes. The above description is more scientifically appropriate, though, to the term “infinity:” that which has no beginning and no end. In science, “immortal” has a much more limited meaning, with has nothing to do with the theological sense of having no beginning and no end. Scientists use immortal to mean “not liable or subject to death; undying,” without any specific statement about a beginning or ending time. Among other things, they use immortal to describe a laboratory-cultured cell line capable of dividing indefinitely (yet not forever). In this discussion we use immortality in the scientific sense, and if you read on you’ll understand the meaning of our use of this term. Immortal in the context of this discussion means that a living entity being studied began to exist a very long time ago, so long ago that we cannot exactly say when it started (though it may have had a distant start time); and the same living entity will remain continuously alive as far into the distant future as we can imagine (even though at some unknown day it may possibly cease to exist). We’re saying that a living entity, from the single-celled creatures to individual human beings, never dies. Even though all living entities, including humans, do die at the end of their allotted life-span, a portion of these living entities lives on continuously without dying, and the life they carry forward is immortal in the scientific sense. The physical part of you is encoded in your DNA genome. Your DNA has been continuously alive for thousands or even tens or hundreds of thousands of years. Thus your body has been continuously alive for that length of time. Here we intend to demonstrate, using only scientifically valid information, that we remain continuously alive over both historical and prehistoric periods. Mystics and theologians have throughout history claimed to know the truth about Man as a being who lives beyond the boundaries of our lifetimes. They argue based on philosophy and faith, and make no claims of scientific validity. We will leave the speculations of mystics to them, and deal only with science. Give me a chance to show you the science. You’ll be surprised and convinced as this accepted mainstream scientific analysis unfolds. The answer is not what you’ve always thought it was. Every living plant or animal is just as immortal as man. Of course there are extinct species, such as the dinosaurs. Our definition of immortality does not exclude an ending time, it just does not specify a singular ending time (commonly known as death). We’ll start by discussing immortal single-celled life; and then proceed to a less-complicated insect life form, so as to lead you slowly to a very hard to absorb conclusion about human beings, which is quite real and yet goes against everything we’ve always though we knew. There are a lot of bacteria on the planet. According to Whitman, Coleman, and Wiebe (1998) http://www.ncbi.nlm.nih.gov/pmc/articles/PMC33863/ there are approximately 5×10 to the 30th power bacteria on Earth, forming a biomass (the volume of all the bacteria taken as a whole) which exceeds that of all plants and animals. Studies show that more than half of these bacteria reproduce by simple cell division rather than through the sexual joining of two separate entities. There are approximately ten times as many bacteria in or on each human body as there are human cells in the body, according to Sears, Anaerobe 11 (2005) 247–251. 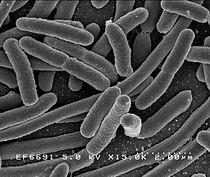 All of these bacteria are of the variety which reproduces by simple cell division. The consensus is that there are about fifty trillion cells in each human body. Some scientists put the figure at a hundred trillion but a more conservative figure will make the point here. Fifty trillion time ten means there are about five hundred trillion living single-celled bacteria, reproducing by cell division, in each human body. Multiply five hundred trillion by the estimated world population of seven billion, and you can get some very limited yet imaginable idea of the ubiquity of single-celled bacteria throughout the world. Bacteria also occur in similarly fabulous numbers in the soil and the water and all other living beings on the planet (Whitman, Coleman, and Wiebe (1998), op. cit.). So, does this fantastically huge biomass made up of individual bacterium, which reproduce by simple cell division, ever die? Certainly it is true that individual 3-micrometer sized bacterium die all the time. When you look at the larger picture, though, death is not a constant in the overall bacterial biomass. These single-celled creatures reproduce by dividing in half or into fourths. The original organism never dies as it divides. There is no real part of the reproductively dividing rod-shaped bacteria that is the “old” creature, as opposed to the “new” creature. One living thing separates into two living things. The individual microscopic reproductive separations of countless 3-micrometer sized creatures within the biomass occur with almost inconceivable speed. At any given time there are quadrillions or more of such dividing reproductive separations going on in the world, over and over again. Who can say which part of the progeny of this fantastic activity are the “old” bacteria and which are the “new?” They are all pretty much the same. Look closely at the photo above of the swarm of E. coli. I challenge you to tell me which of the creatures are the “old” parent bacteria and which are the “new” child bacteria. Yes, there is death going on, since the overall size of the bacterial biomass does not increase beyond certain boundaries. Yet the biomass itself continues to exist and is always alive and there is no differentiation between one bacterium and another with regard to life. Death does not impede the ongoing and continuous living process of bacterial life, which goes on uninterrupted. Death is present, to be sure, yet death definitely does not define the bacterial biomass. When I was young, among other things I collected insects, especially butterflies and moths. 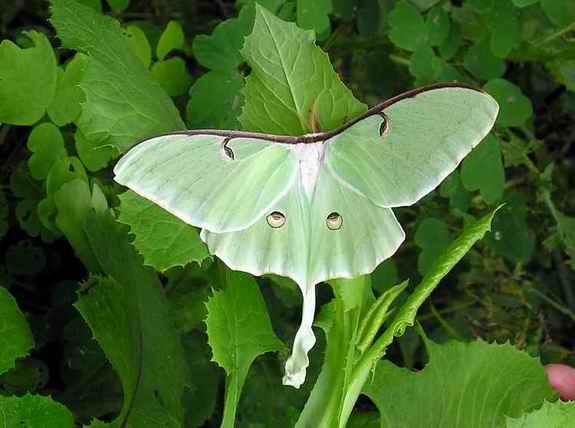 My favorite insect was the Luna Moth. 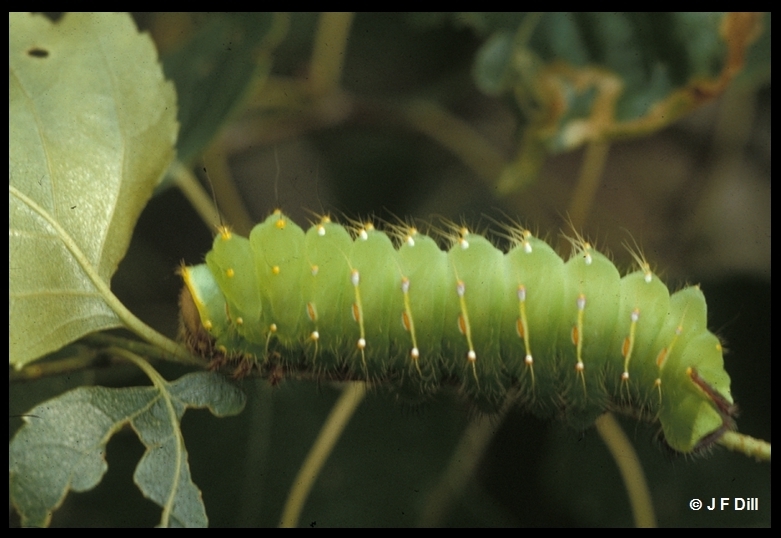 The story of the Luna Moth will demonstrate how DNA is the active player in the passage of generations. It has been well established by science that the instructions for the development of each stage of life for each organic being are encoded in the living memory of DNA. The double-helix strand of living tissue is contained inside each cell of the Luna Moth and every other being, including humans. We need to develop this somewhat clearly explainable insect model before moving on to the human experience, which is more complex. I’m going to describe the complete life-cycle of the Luna Moth, starting with the showiest part of the process. The adult Luna Moth is large and strikingly beautiful, with lime-green yellow-trimmed wings spanning up to four and a half inches (11.4 cm) across, with long trailing green hind wings. Here’s a picture of the beautiful adult moth. You can see why I liked them and still like them. So we see the adult moth. Now let’s go through to the next stage in the life-cycle of this elegant creature. Stay with me. 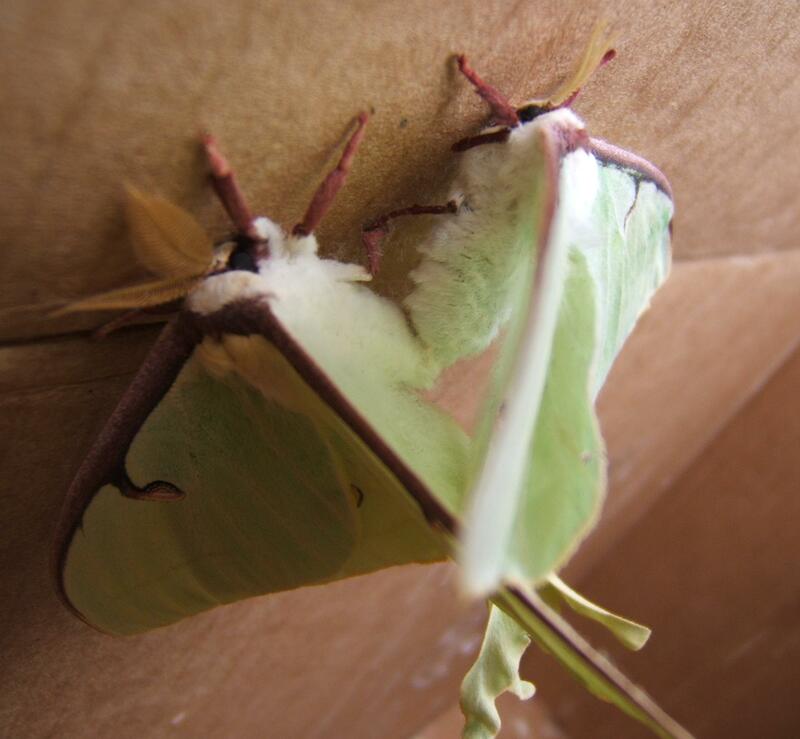 Each of these wonderful, yet common, Luna Moths is around only for a very short time. The adults cannot eat, since they have no mouths or other digestive structures. They emerge as adults solely to mate. For this purpose they have only about one week. They tend to hide in the day and move about at night. There is something eerie and ghostlike about their movements. They flit from the gloom and are attracted by artificial light, then disappear back into the gloom once more; not unlike humans in their travails. The male shown above has feathery antennae which sniff out pheromones from female moths. The two come together and mate, as is shown in the “X-rated” picture below. During mating the living DNA in the sperm from the male is ejected from its phallus into the body of the female. As we shall see, the only time in the life cycle of the moth – or a human being for that matter – when the living DNA crosses an open space outside the body is during mating. For the moth the open space may be only a millimeter or two, yet the sperm in its journey is definitely outside the physical structure of either moth. The living sperm quickly enters the genital chamber of the female moth and as the eggs pass out of the female the sperm embeds its living DNA into the living eggs of the female, which contain her own contribution of living DNA for the next generation. Once they mate, the male moth has no further raison d’etre. He flies off like a leaf falling from a tree in autumn and is never heard from again. The female moth flies around until she finds the right spot and lays her eggs. Then she shrivels within a few days like a tulip in a vase. Due to the lack of a mouth to eat, it may be said with scientific certainty that the beautiful creature that flies through the air is only a transitional stage, no matter how we may love it. 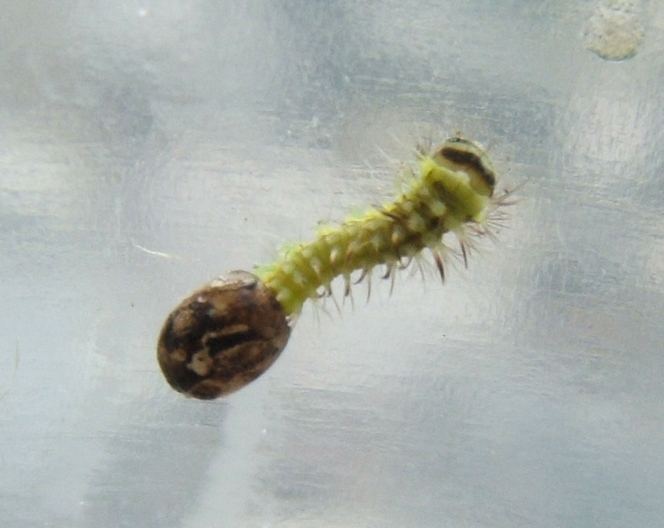 Thus all that remains after the transition of the living DNA across the open space between the two moths are the extremely small eggs shown below. Each is self-contained and a little larger than the head of a pin. 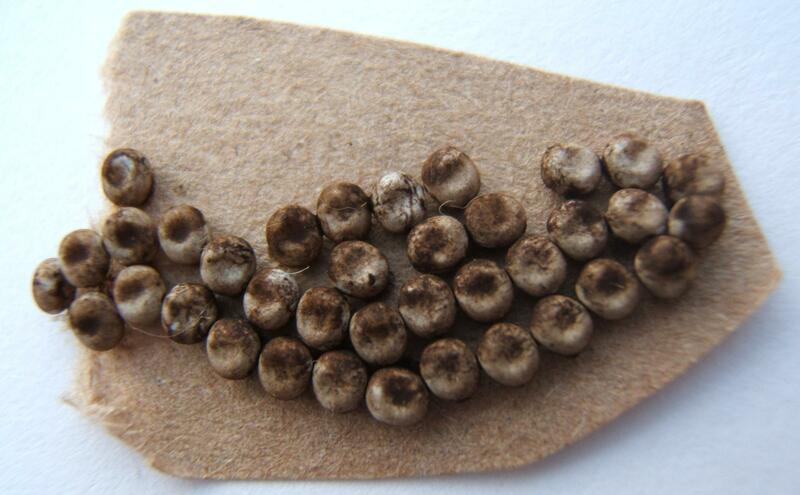 Each of these self-contained living eggs contains the entire living DNA from the two mating adult moths. No further instructions are needed to continue the life-cycle of the Luna Moth. Life continues, full and complete, uninterrupted. At some point, the mature caterpillar finds itself overcome by a desire to leave its body and become an entirely different being. Internal changes are already underway to facilitate this transformation. The instructions in the memory of its original living DNA are very precise as to both the timing and the behavior, and always generate the same outcome. It’s easy to see this transition as a commonplace event, since it’s an everyday activity of moths, and there’s no drama in the ordinary. Yet the very precision of both the timing and the physical structures involved in the changes are nothing short of extraordinary. And these precise changes in the cycle of life are repeated perhaps millions of times over each year by individual moths. And for thousands or hundreds of thousands of years these precise and exact changes have been repeated, perhaps modified slightly over time by Darwinian evolution. Here’s the question: Where in this life-cycle is the permanence of death? Is there ever a time when there is absolutely no life present? 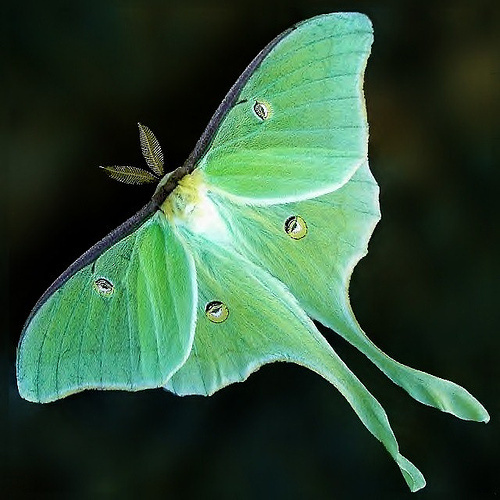 The living DNA is passed from generation to generation with sufficient vitality to produce exactly the same life-stages in each cycle of the existence of the Luna Moth. In the second part of this two-part essay, at https://mcgeepost.com/2014/02/18/the-physical-immortality-of-man-part-two/ we will explore all the way to the end – mankind – these far from commonplace questions. From http://www.mcgeepost.com Copyright © 2014 by Michael H. McGee. All commercial rights reserved. Non-commercial or news and commentary site re-use or re-posting is encouraged. Please feel free to share all or part, hopefully with attribution. ← How Much Money is Out there?